Magdalena joined ELNC’s Early Head Start Program staff last year. With her dedication, attention to details, organizational, relationship building skills and love for ELNC’s Mission, Maggi has been promoted to serve as ELNC’s Fund Development Coordinator. In this role, Maggi will manage our internal systems of support for all of our fund development efforts. Magdalena has worked in various school community settings and nonprofit organizations for over 25 years. 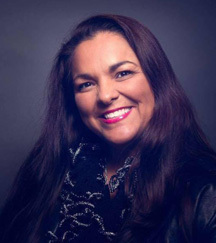 A significant accomplishment for her was getting elected as the first Latina to her Alma Mater Holland Public Schools District Board of Education in 2011. Growing educational programs and services remain a priority to Maggi, especially for our youngest and more vulnerable community members. Her deep passion for personal and community empowerment is the driving force behind her steadfast activism; especially when representing the underserved and underrepresented. In her spare time, Magdalena enjoys cooking, listening to music, reading, spending time with her pets and hot summer days at the beach.